This is a multi part article, the subject and photographs are too large not to be. In the late 1700’s, after the US revolutionary war, traveling preachers ‘rode the circuit’ visiting rural communities. They have been called revivals or camp meetings. These were rural communities where record keeping was secondary to survival. History has been passed between the generations. 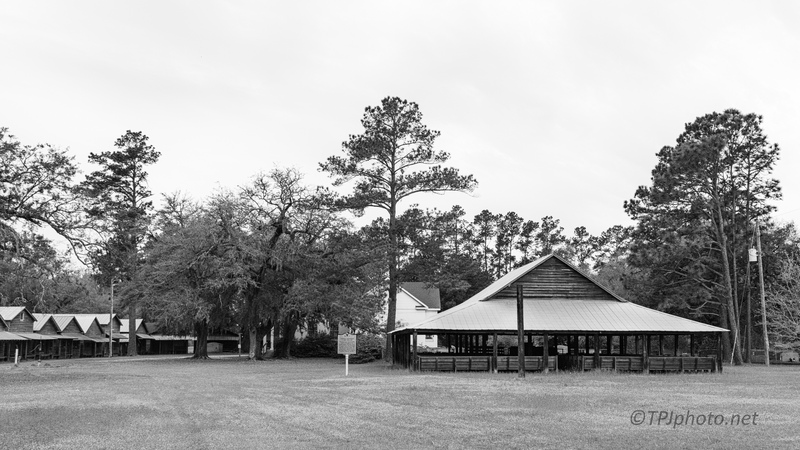 Recently we were fortunate to have revisited with the current church, which still maintains a yearly camp meeting. 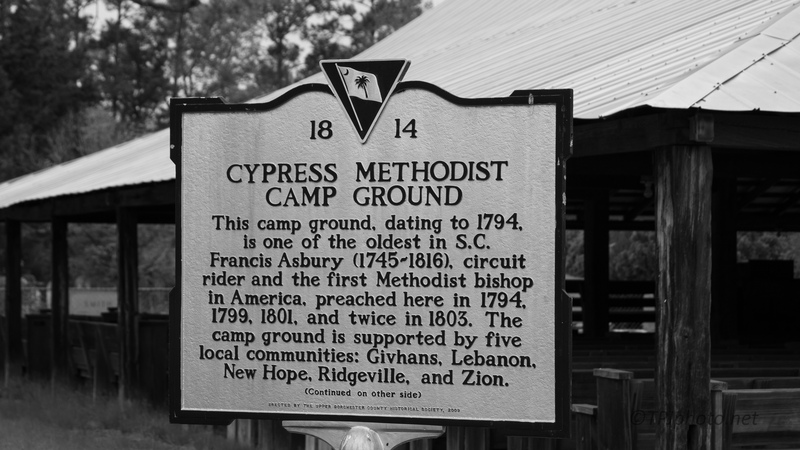 There are several other functioning camp meetings in South Carolina. Other articles, and camps, are on this web site. 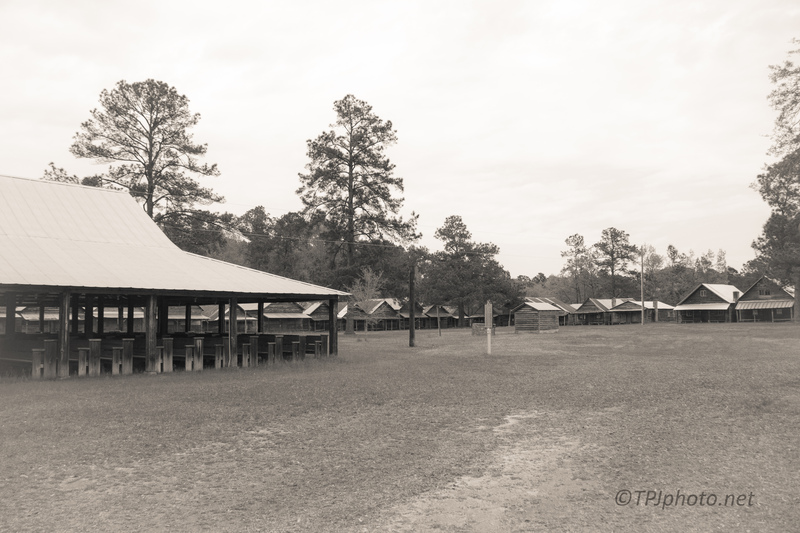 At center of a camp ground is the Tabernacle, an open sided building for services and meetings. 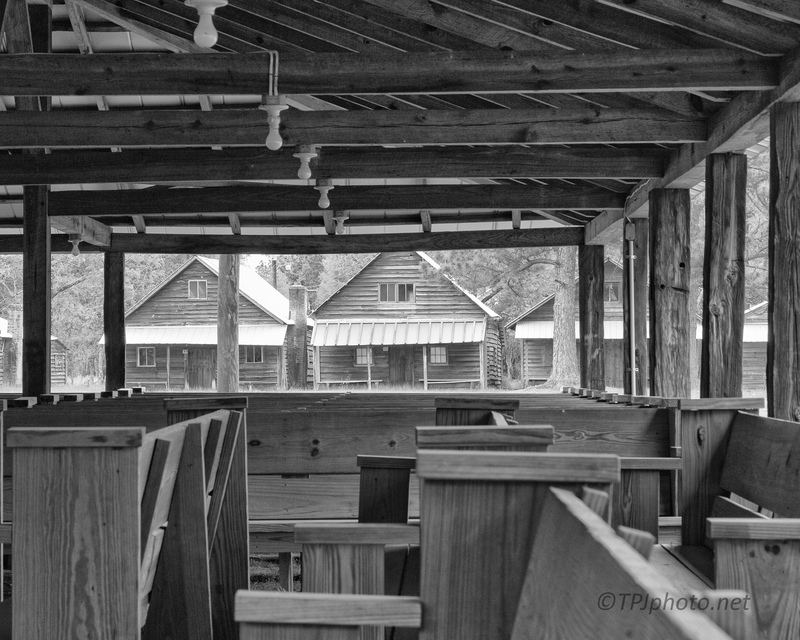 In a square, or rectangle, around the Tabernacle are the ‘tents’ or cabins where members stay for the time of the meetings. here a week a year. 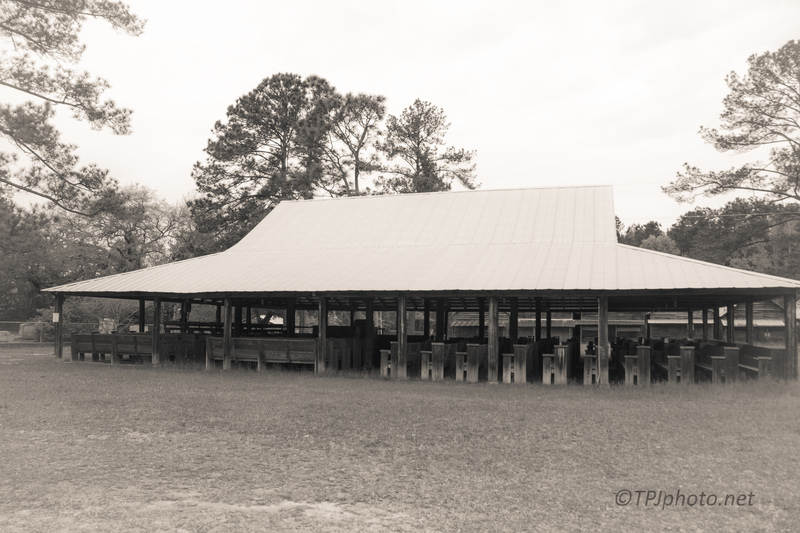 The Tabernacle and Tents are rustic and by design little changed from the original structure. Families have owned their tents for generations. 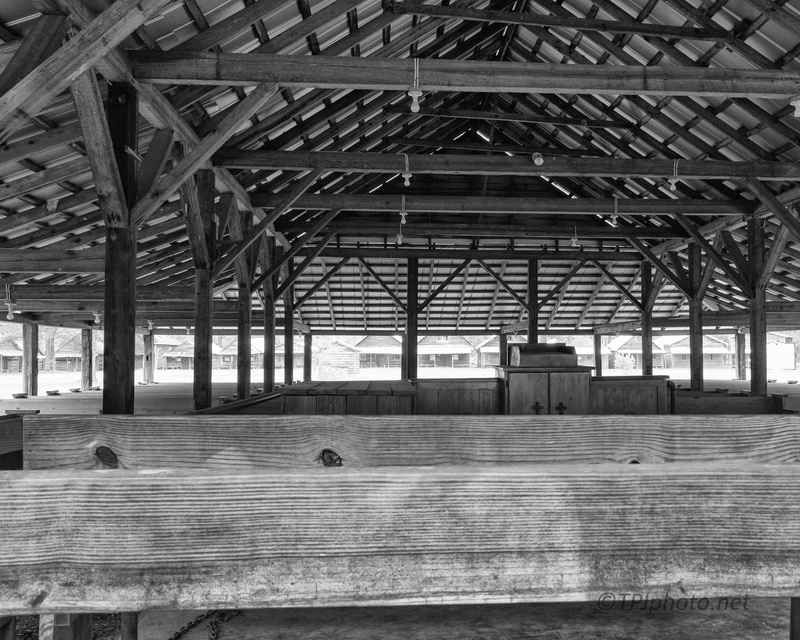 While some have been damaged and rebuilt, others are originals dating back over 200 years. Above is both the Tabernacle and some of the Tents. 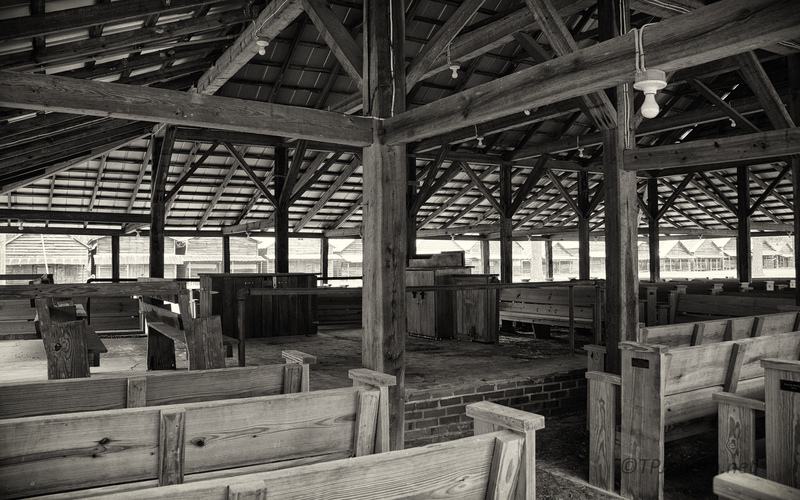 The inside of the Tabernacle is filled with wooden pews and a straw floor. Electricity has been added at some time. The roof is a more modern tin, or metal. The pulpit is a simple raised brick floor. 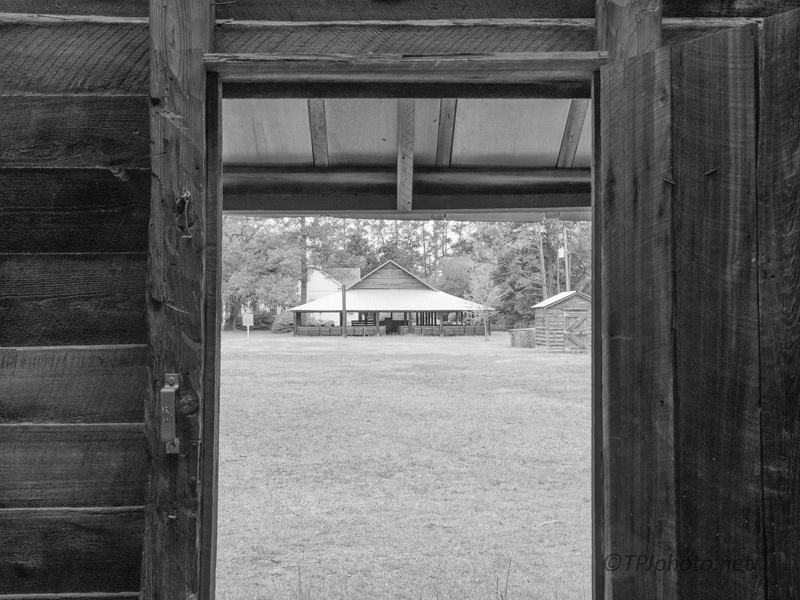 Above is the Tabernacle seen from inside the doorway of a Tent. 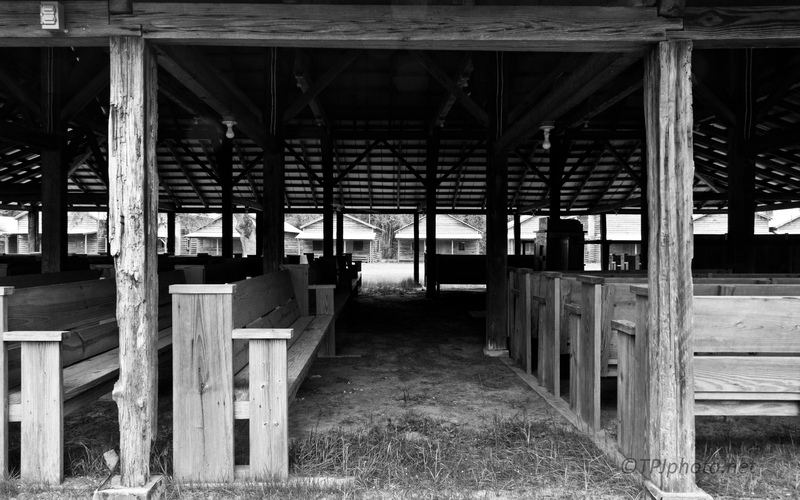 Additional articles will be published documenting the Tents, inside and out, as well as the Church that owns the camp grounds and was gracious enough to allow us this visit.